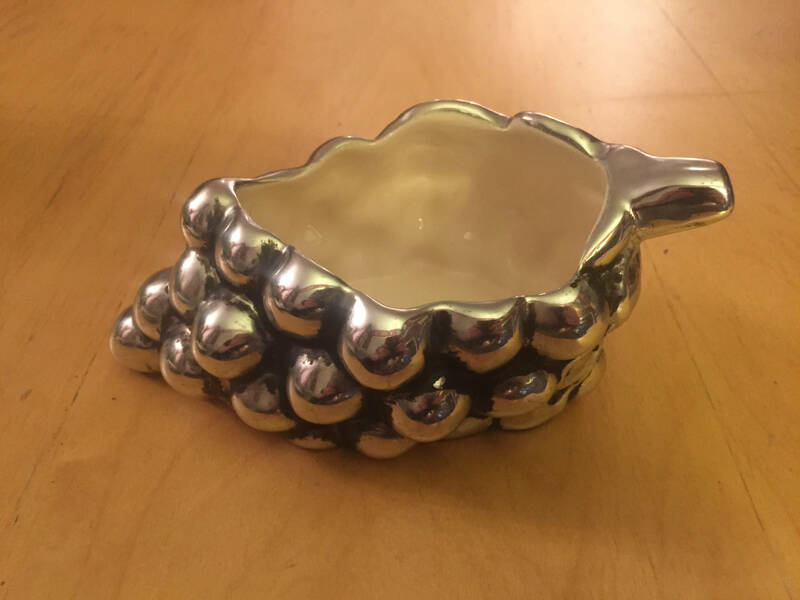 This is a silver painted, ceramic bowl with a stainless steel spreader. 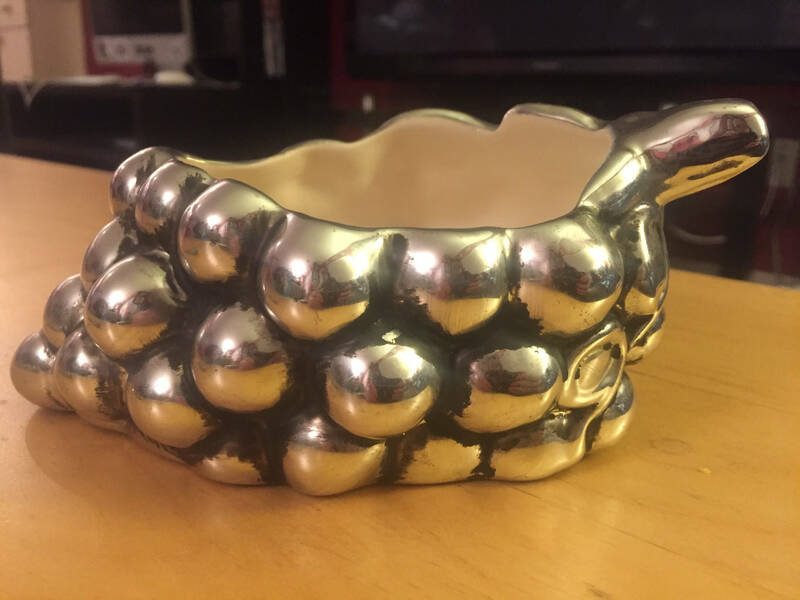 The bowl is 6in x 3in. 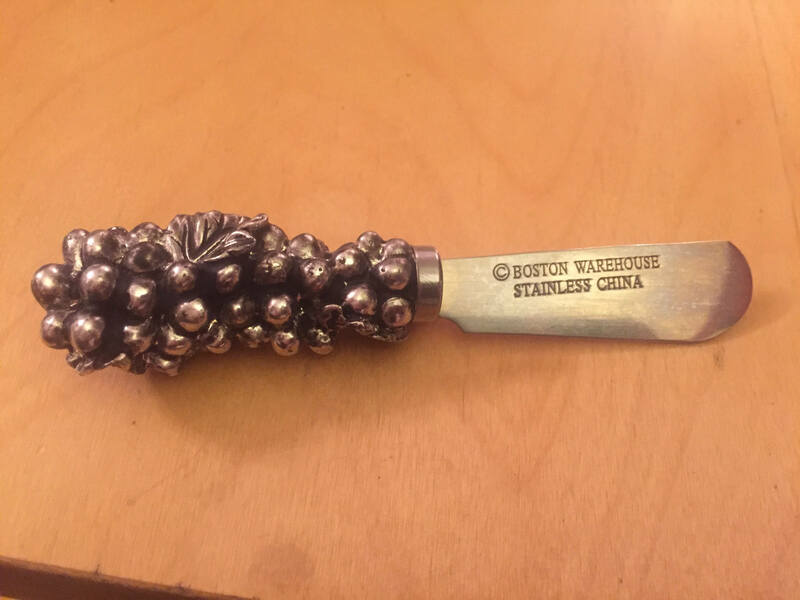 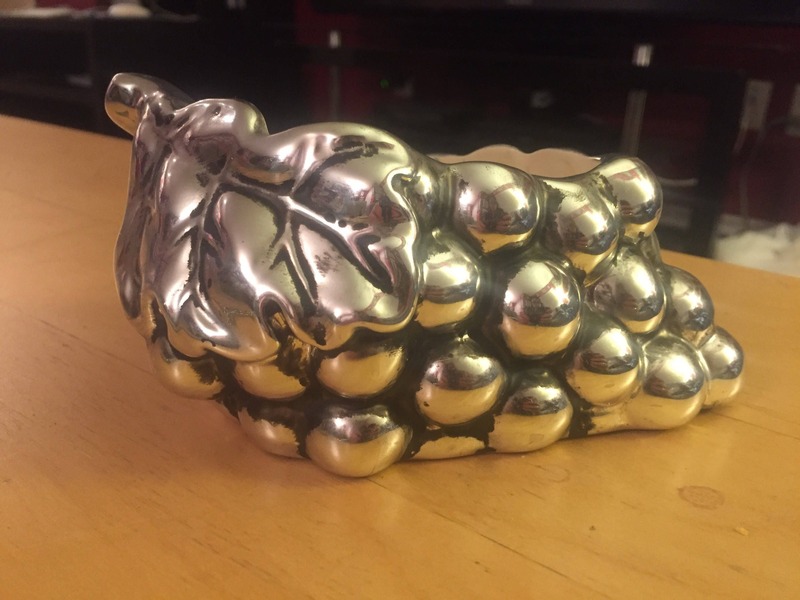 Spreader is stainless steel with a “Boston Warehouse” stamp and the handle is a cluster of grapes. 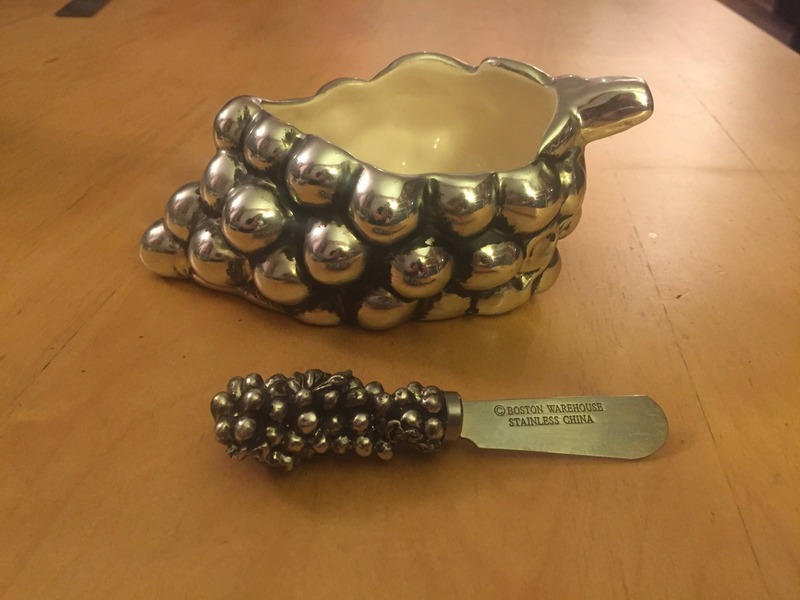 Perfect to serve your favourite dip or spread with your favourite wine!